Stylish, spacious and safe. It's the total package. Sleek yet space-efficient, the B-Class Sports Tourer proves that small can be stylish and sporty. Its clever design wraps generous room for five and flexible cargo capacity in an aerodynamic, and highly dynamic, body. The clever, upright design of the B-Class gives you a commanding view of the road and abundant cabin space. 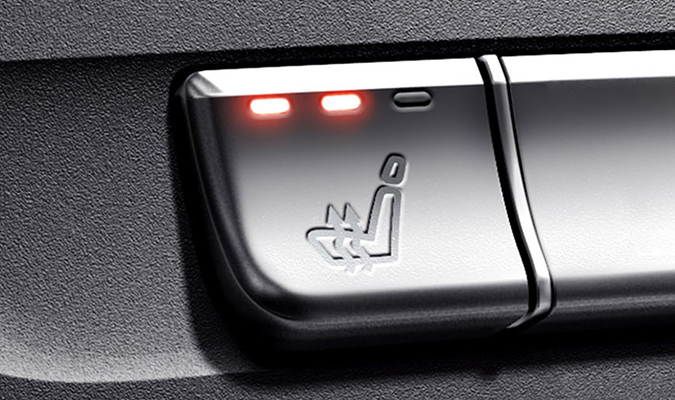 The standard power front seats include 3-stage heating, and include memory, plus power lumbar and manual thigh supports. 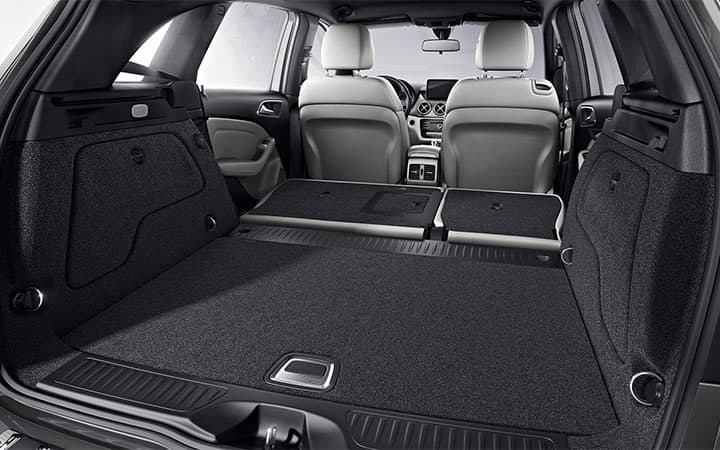 The split-folding rear seats accommodate three adults, or more than 1,500 litres of packages from boxes to bags to bicycles. 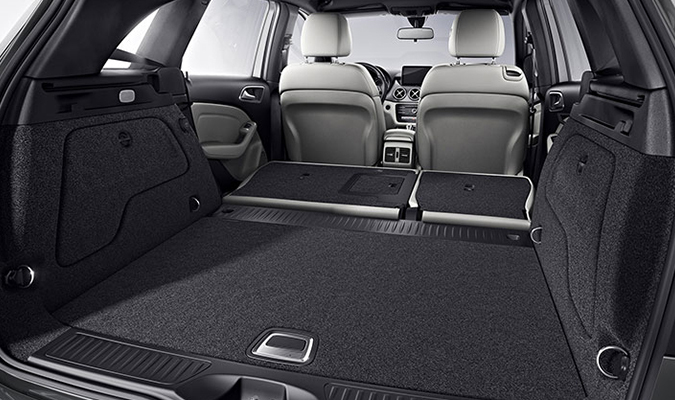 The Storage Package adds compartments overhead and under the front seats, plus folding rear-cabin tray tables. Aerodynamic refinement and dynamic detailing add up to efficiency with expressive style. A wide range of colours and 17-inch or optional 18-inch alloy wheels catch the eye outside. Inside, hand-fitted upholstery and stylish trims accent the refined cabin. The upright B-Class is anything but uptight. In fact, it's downright fun, with turbo power, seven speeds, and a low center of gravity that accentuates the crisp handling of its fully independent suspension. 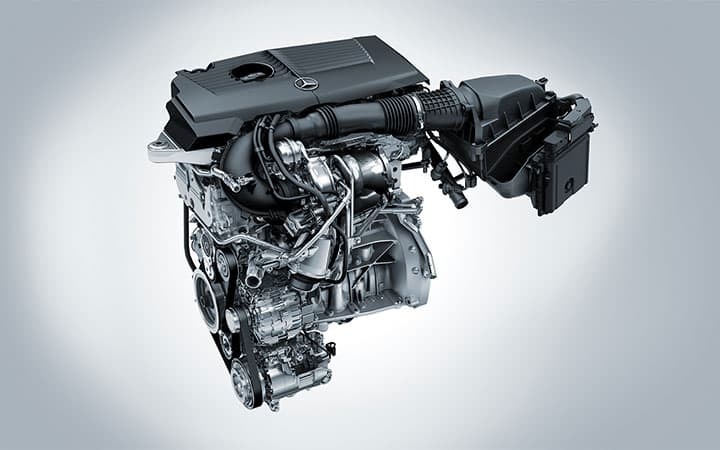 With 208 turbocharged horsepower, the B 250 is energetic yet energy-efficient. Advanced Direct Injection and multispark ignition self-tune on the fly. 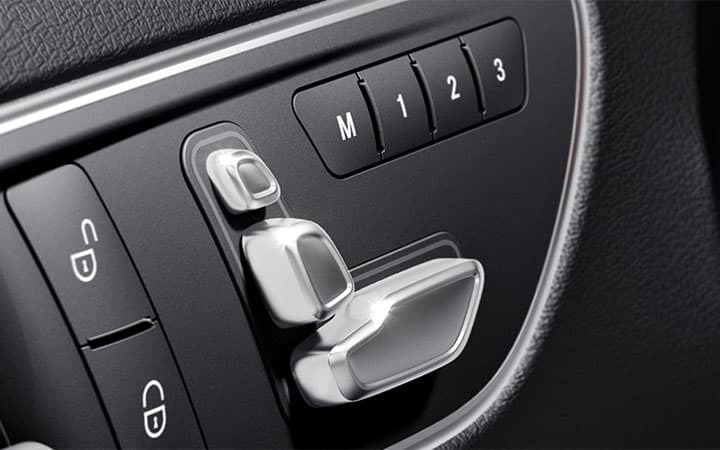 The 7G-DCT dual-clutch 7-speed offers the smoothness of an automatic with sporty reflexes and shift paddles. 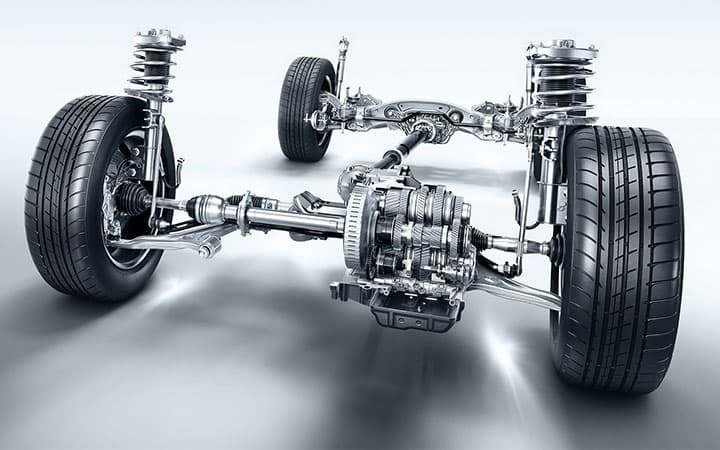 The 4-wheel independent suspension is sporty in curves, refined on rough roads. DYNAMIC SELECT lets you fine-tune the throttle shifting and multiple pushbutton modes, from Sport to ECO to an Individual mode you create for yourself. Turns torque into traction. Turns grip into go. 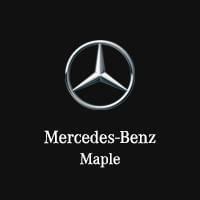 From a loose surface to a tight corner, the B 250 4MATIC's variable-torque all-wheel drive can sense the first sign of wheel slip, and instantly reapportion up to 50% of the engine's power to the rear wheels on demand. 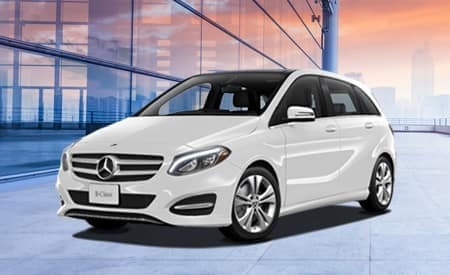 Even with its compact size, the B-Class is big on innovation, with the engineering and advanced systems that earn the Star in its grille. 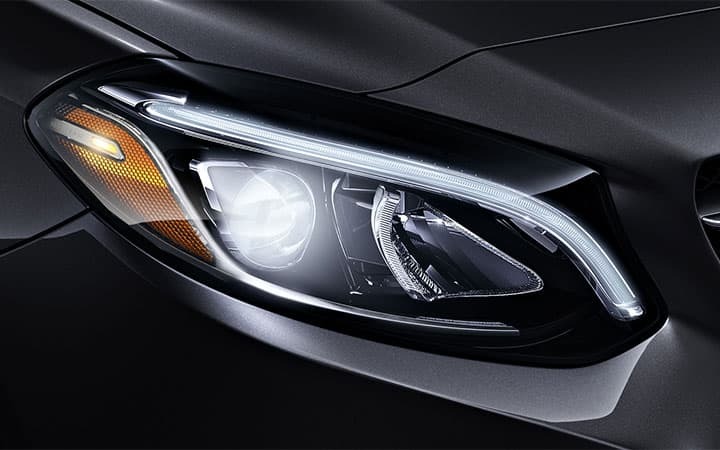 From user-friendly convenience to passenger protection, it's a Mercedes-Benz through and through. The vivid 8-inch colour display is not only large, it also brings you a wide range of ways to stay entertained and informed. 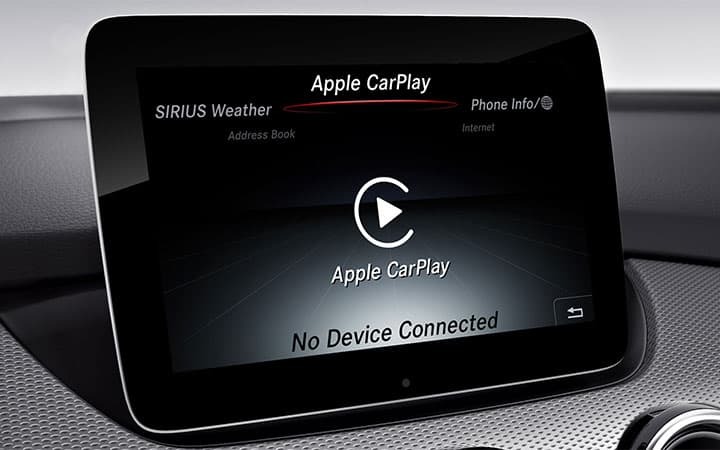 From Bluetooth® audio streaming to standard Apple CarPlay™ and Android Auto, your B-Class has your ears covered. Generous with features. Intelligent by nature. Advanced features make every trip more enjoyable. 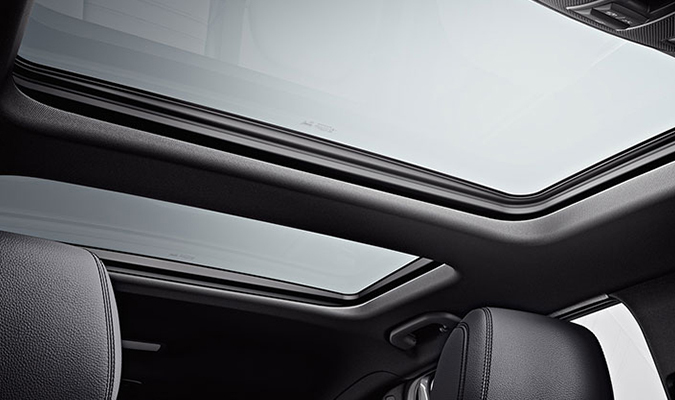 THERMOTRONIC climate control with dual temperature zones, LED high-performance headlamps and a panoramic sunroof are all standard. Available COMAND navigation includes LINGUATRONIC voice control. 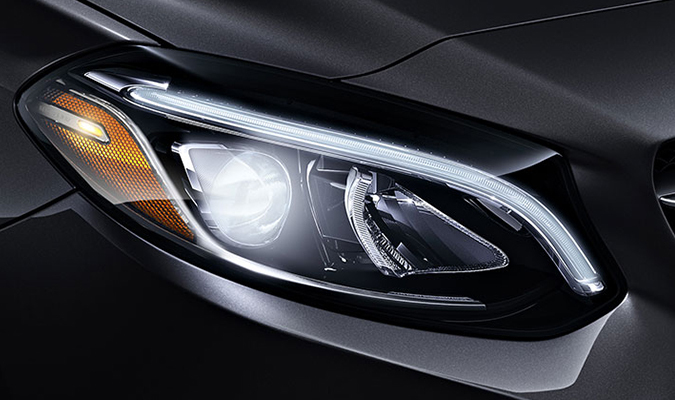 Every B-Class uses radar to help spot hazards in your path, alert you, and even start braking to help reduce collisions. It can alert a drowsy driver. And both a rearview camera and Blind Spot Assist are standard.